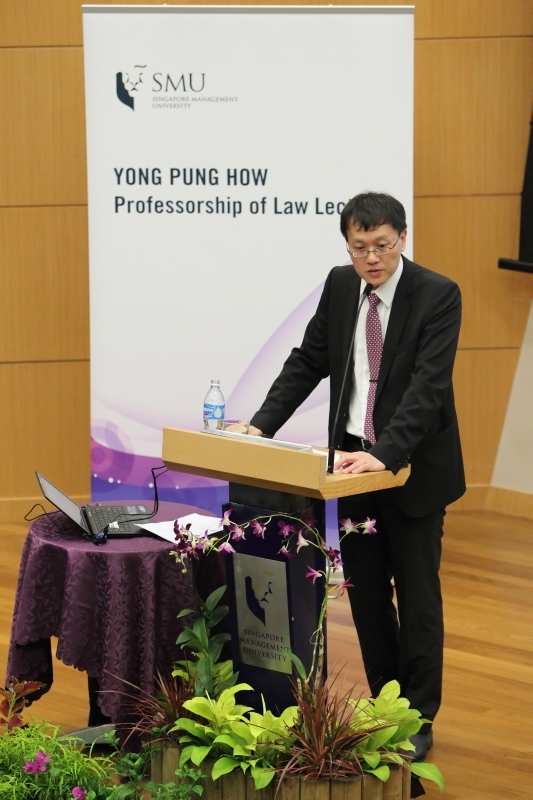 The Yong Pung How Professorship of Law was established in 2007 and was made possible by a generous S$3 million endowed contribution by the Yong Shook Lin Trust. The late Mr Yong Shook Lin, who was himself a prominent lawyer, was the father of former Chief Justice Mr Yong Pung How. This is the largest donation to the SMU School of Law to date. The first appointment to the Professorship, which is tenable for three years, was made in August 2007. The prestigious professorship aims to advance the research and teaching of law in SMU through the appointment of an acclaimed legal luminary. The Yong Pung How Professor of Law is a full-time law faculty of the SMU School of Law who is an eminent legal researcher of high international standing, a thought leader and expert in his or her area of legal pursuit, and a passionate teacher of the law. He/She will contribute to the building of the School of Law in research, curriculum and pedagogical development, and in the mentorship of younger law faculty. He/She will also conduct public lectures as part of the Yong Pung How Professorship of Law lecture series. “The Yong Pung How Professorship of Law recognizes an accomplished faculty member who has achieved a compelling stature of legal excellence. Such a scholar will be a star contribution to the SMU School of Law and will no doubt propel the school quickly to international standing. He or she will provide much gravitas and substance to legal research and teaching, and will be an asset to grooming SMU’s new generation of law undergraduates who will have both solid legal foundation and a strong grasp of the workings of the financial world,” said Mr Yong Pung How, former Chairman of the SMU School of Law Advisory Board and now Chancellor of SMU.. This lecture will review selected developments in several common law jurisdictions including Singapore relating to the recognition and enforcement of foreign judgments that signal liberalisation of the rules. References will also be made to the regime under the Hague Convention on Choice of Court Agreements 2005 and the on-going Judgments Project at the Hague Conference on Private International Law. The launch of the Singapore International Commercial Court in January 2015 has brought changes to jurisdictional rules of the Singapore courts. 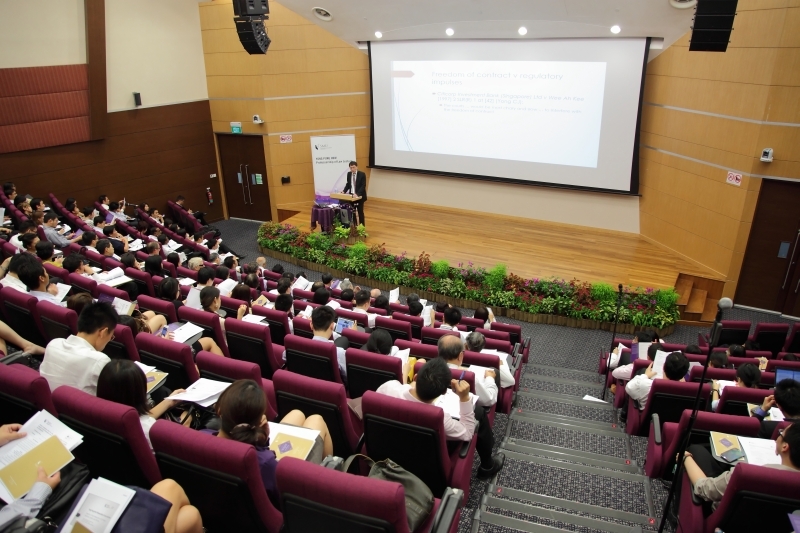 This lecture will consider how common law rules on discretionary exercise of jurisdiction – stay of proceedings for service within jurisdiction and leave where applicable for service out of jurisdiction – have been modified by the new Order 110 of the Rules of Court, and how the common law rules may evolve further in the future. Hot on the heels of its success in international commercial arbitration, Singapore is positioning itself to be an international hub for international commercial litigation. Until such time if and when harmonisation of commercial laws and litigation procedures become reality, private international law will continue to play a critical role in the conduct and outcome of cross-border litigation. This lecture will address some of the key issues and challenges in the private international law of Singapore in the context of international commercial litigation, including the effects and limits of party autonomy.